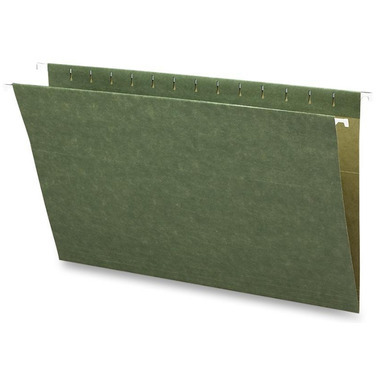 Standard hanging folders keep papers neatly vertical in file drawers. Folders have no tabs, but have slots for tabs. Pre-cut slots for tabs are evenly spaced for either 1/3 or 1/5 cut tabs (sold separately). Folders are made with 11 point colored stock and a high percentage of recycled material.